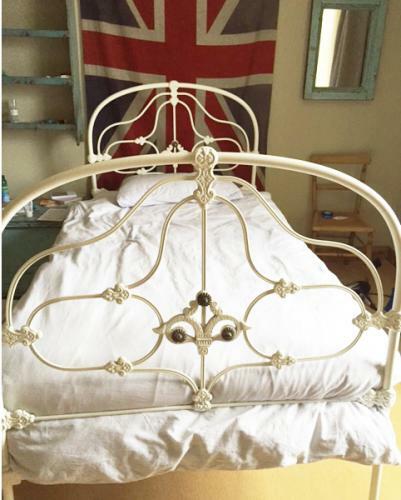 Very elegant Edwardian Single Cast Iron Bed. This has belonged to us personally for many years and it has been proffesionally stove enamelled. Very pleasing design with just a tiny bit of brass detailing. Comes with side irons and a newish mattress if you want it. Just needs a board cut to go across the bed irons to support the mattress.